Question: what does a tire, a bike tube, and a shoe knife all have in common? Answer: flip flops. Yes, that’s what I said. Flip flops and end tables, mirrors, sandals, belts, wallets, and bags, to be exact. Splaff Flopps is a company based in Baja, California that’s been around since 1997. They were birthed out of the desire to own a pair of flip flops that were durable, comfortable, good for wet feet, and made from recycled materials. 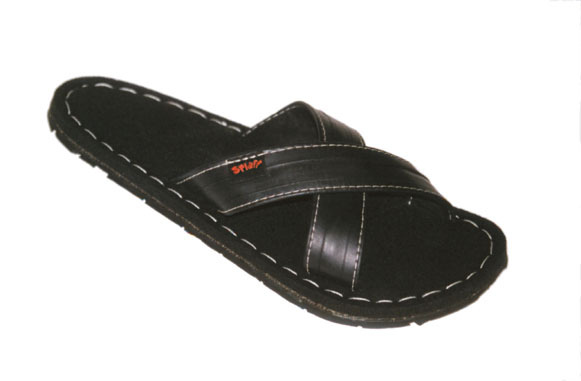 According to the guys at Splaff, their sandal “soles are made with recycled car tires, the straps are made with used bicycle inner tubes, the footbed covering and strap linings are made with hemp fabric, and the mid sole is made with regupol (a cushioned material made from used tires which have been chipped and pressed into mats). Splaff Flopps are produced in a 100% waste free process in which all left over materials are either re-used or recycled.” Can it get any better than that?! Not only is the process ultra cool, but the Splaff artist-creators garuntee their sandals for six months and swear that they’re super comfy and especially great for feet that often get wet. One of the things I like the best about their footwear, though, is that the soles are orderless, slip-restistant, and waterproof. These would be awesome for my husband (and myself) to run around in during the summer…and they wouldn’t leave behind an odor like our Chaco’s do! I didn’t get to test any of their products, so this is a review entirely based on their website. Should I ever be a person of a pleasant income, though, I would love to adorn my feet and my husbands feet with these sandals. Aside from the footwear, my favorite product is the messenger bag they make. I love messenger bags. Since these are sandals designed for the outdoors, head over to the Splaff website and then leave a comment on my post here. If you do, you can have an extra entry into my Pro-Tech-Skin giveaway since that’s great for anyone involved in outdoor things too! Just leave a message on that post telling me that you commented on the Splaff review. I am seriously considering buying a pair. We can share.